Give the gift of Glenfarclas with this gorgeous gift set. 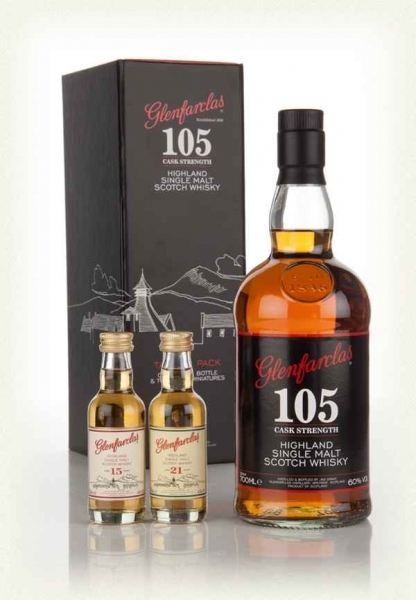 Featuring a full bottle of the fabulous Glenfarclas 105 (60% ABV) and two 5cl miniatures, including their 15 Year Old (46% ABV) and their 21 Year Old (43% ABV) single malts. This set really is the bee's knees.